Are you looking for multitab PDF viewer in Linux? Probably you want an alternative for Foxit Reader. Then use Qpdfview. It supports multitabbing. Also, it supports zooming, continuous view, fullscreen, properties viewing, sidebar, and so on. 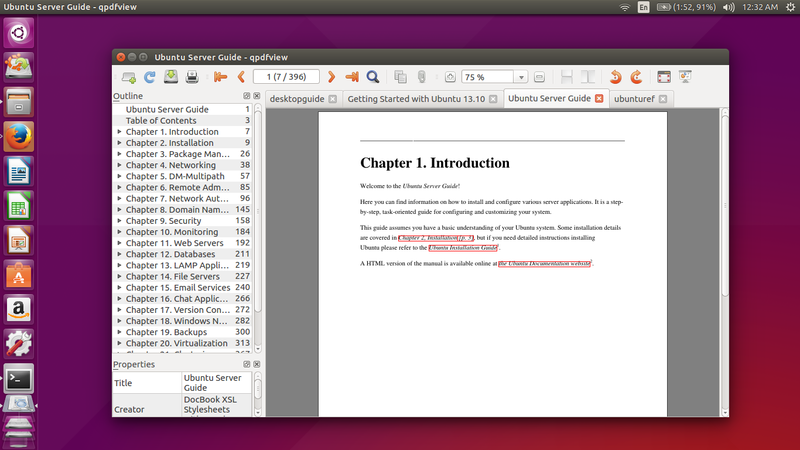 Fortunately, Qpdfview is available on Ubuntu official repository and many other distro repositories. Personally, I've used Qpdfview on my KDE as default PDF viewer because I always open many PDF files at once. I hope Qpdfview is useful for you too. If you dislike to command, use Ubuntu Software Center instead. If you don't use Ubuntu (Debian, Linux Mint, and their family), choose one of these methods. Use dnf if you are using Fedora 22 and above. Use yum if you are using Fedora before version 22. Use this PKGBUILD from AUR. It is also applicable to Manjaro. Use this SlackBuild from SBO.